Xeloda has not been good to me. My tumor markers are higher than they have ever been. They are sitting at 1613.9. It’s usually accurate with what’s going on in my body. 70 percent of my bones have been invaded by cancer. We still are not sure if it’s new cancer in my brain or brain necrosis. I will have new scans in another month to reevaluate exactly what it is. If it’s necrosis then we don’t want to go cutting on my brain. Wait and see. For now I’m taking Paclitaxel. I’m doing it once every three weeks. It can also be given once a week for every three weeks to lessen the side effects. 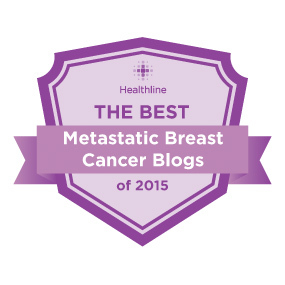 My oncologist thinks once every three weeks is a better punch. That’s what I’m doing. It’s day two and I’m exhausted. I feel so weak. It’s actually hard to get out of bed right now. I’m just dealing with it and resting. It will be worth the down time if it works. Some pictures from my first day back in the chemo chair. I’ll go in one day soon for a port. My arm can’t handle this kind of treatment. I did it, but my arm was on fire afterward. We used my arm beacause I don’t have a port. Port surgery is next. It was an hour and a half treatment. I slept. My, Javiee, my rock, hanging out with me in the chemo room. I love you Guys! 💕 Plan something fun for the weekend! Make some memories and send me a picture! 💕💕 I’ll do a friends adventure post. We may have cancer, but we’re still loving life! There are two scans there, just click the links. New scans and another wait and see. Friday there will be a meeting on my body scans. Do we add to Xeloda or make a total change? That is the question. Tomorrow I will see my radiology oncologist and will either start or make a plan to start radiation on my right arm/shoulder. I have been in so much pain the past few days. Even my pain meds don’t help. I got a stronger pain medication today. I don’t like it, it makes me nauseous, but it takes the pain away. That’s where I’m at until tomorrow. I’ll let you all know when I have a definite plan. 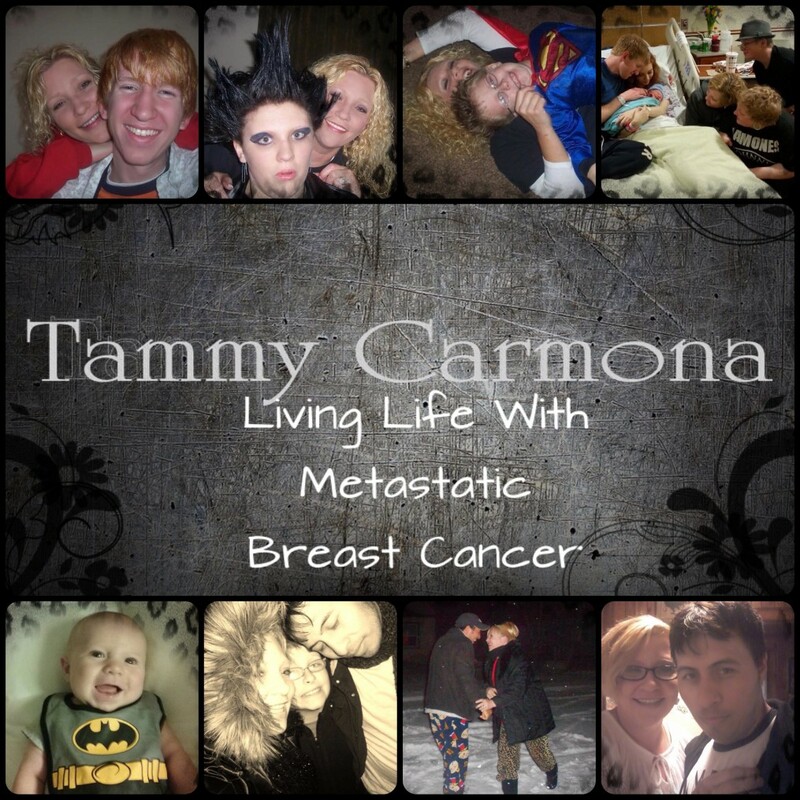 I have lived with metastatic breast cancer for five years. Throughout this time my CA 27.2 marker has been an accurate indication of what’s going on inside my body. It’s steadily been on the rise. This month it jumped another 170 units. My hope is that cancer is dying and not growing while I’m on Xeloda. I have a new brain MRI and a chest and abdomen CT scheduled in two weeks. If the tumor in my brain is bigger my only option seems to be surgery. I’ve decided to have the surgery if necessary. But first, I’m going to the beach for a week and I’m going to see Lynyrd Skynyrd the first weekend in September! I’m going to enjoy summer, make some memories and not stress the outcome of my scans. If I have to deal with it I’ll do it in mid September. Here are my recent tumor markers. They seem to be rising since I started Xeloda. Despite all this cancer chaos, I’m still alive, so I’m still smiling. My Javiee and I celebrated another anniversary on June 5th. Here’s a picture…. We went to The Conundrum escape room in Asheville. If you haven’t been to an escape room, you should definitely go! We didn’t escape but we had a blast! Here’s our picture….. My precious granddaughter, Evie, had her first birthday! You know a picture is coming! Let me start by telling you I told my Javiee last week that I was craving mashed potatoes and meatloaf. I never eat that! You’ll understand why I told you this soon. On with my story. I received a call from my cancer center telling me they were now doing special chemo drugs and they wanted to send me my Xeloda instead of it being shipped from out of state. I agreed, it sounded like a good idea. I started my 4th cycle of Xeloda last Sunday. Monday I started feeling weak and it worsened as the week went on. I figured it was my 4th cycle and it would get harder with each cycle. Thursday I received a call from my cancer center saying I had an appointment Friday. I said no, it’s next Friday. She looked and said your right, I don’t know what happened but your also scheduled for this Friday. I decided to keep the appointment and cancel the next one. My mom picked me up and drove me to the cancer center. I was too exhausted to drive. By the time I made it from the car to the door of the cancer center I was out of breath and couldn’t walk. My mom wheeled me up in a wheel chair. They checked my heart rate and sent me straight to the hospital. My room was waiting for me when I got there and my heart rate was over double what it should have been. I went straight to CT. They were looking for a pulmonary embolism or a clot in my lung. There was nothing. When I got back from CT my hospital food tray was waiting for me. It was meatloaf and mashed potatoes. ( I was right where I was meant to be). They stabilized my heart and told me to stop taking Xeloda. I went to my purse and my Xeloda pills were scattered in my purse and the bottle was closed tightly. Not taking those! I’m home now and feeling like I should be. My heart is stable and I will go back on Xeloda, but from the original pharmacy. There was something going on with the pills from the cancer center. We’ll find out more about that this week. I give God the glory….. The pink Xeloda pills in the bottom of my purse and don’t forget……. The meatloaf and mash potatoes….yes meatloaf and mash potatoes! Now for some pictures from the weeks before this mess! Good food and beautiful faces…. I love my radiation oncologist, Dr. Smathers. When it comes to living with cancer the most important things to me are quality of life and honesty. I don’t want anything sugar coated! She understands and that’s what she gives me. I love to see her walk in with a smile. I didn’t get that last month. I got it today! My scans showed nothing new. It showed the little brain mets were no longer there. The belief is that Xeloda took care of them. The tumor in my left frontal lobe has grown 2mm. Her hope is that Xeloda will reach that tumor and shrink it. We have a new brain MRI scheduled in two months unless I start having symptoms. The most common symptoms would be dizziness, headaches and nausea. That’s the plan as long as I feel good. 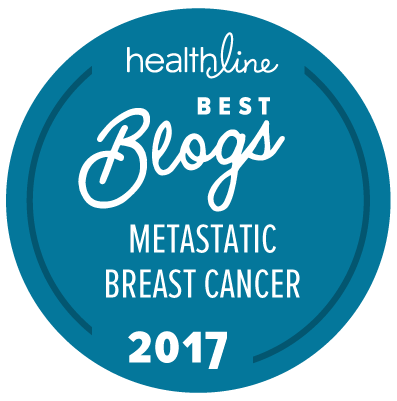 If nothing changes on the next scan we will consider adding Methotrexate. If it continues to grow brain surgery is my other option. It’s another wait and see. I’m grateful for another month and for more memories! We taught Jax how to play Candy Land. He won his first game! I love being a glamma! T.J. joined ROTC (Air Force). This has been a month full of memories! Some deserving a title of their own. I’ll add them soon! Two rounds of Xeloda cleared my liver! Those liver mets are gone. It’s been four months since my previous brain MRI. Our hope is that this tumor in my brain was bigger and xeloda has shrunk it. There’s no way to know because my previous brain MRI was clear. Our plan, for now, is to keep taking Xeloda and do a new brain MRI next month. If the tumor is smaller then we will continue with Xeloda and monthly scans. If the tumor is the same size or bigger next month the only option will be brain surgery. That’s the plan right now. This could change after our meeting Friday. Another wait and see! I have chosen to not worry about this. I’m going to keep doing what I’m doing and see what next month brings. What does worrying help anyway? Tomorrow I’m going to pick up my sweet little Jaxon and we are going to watch T.J. wrestle. I’ve had so much going on lately! I feel like I just can’t keep up. I didn’t even mail Christmas cards this year! I finish my second cycle of Xeloda tomorrow. I can’t really complain with the side effects, I’ve dealt with worse. I’m exhausted and my feet and legs hurt. It’s like walking on pins and needles. I’m handling it and praying it works. After my first cycle of Xeloda (14 days) my tumor markers jumped from 263 to 968. They’ve never been so high. I have new blood work next Friday and I’m hoping to see a drop. I had a tumor removed from my neck two days after Christmas. My doctor was concerned that it was lymphoma. It turned out to be breast cancer. That was good news. Now I have two new tumors in my neck and one on my jawbone. The one on my jaw bone has caused numb chin syndrome. It’s just like it sounds. My chin and botttom lip are numb. Last week I woke up vomiting. It turned to blood and I ended up staying in the hospital for a few days. They sent me home saying it was diabetes. The truth was the vomiting is what made my blood glucose rise. They sent me home and then called and said I wasn’t supposed to be released because my oncologist had ordered scans. I told them to just schedule me for the scans and I would come in for them. I’m home now and resting. I have three different scans scheduled for next Monday. I will get the results of the brain scan on Wednesday and the throat and body MRI results will be Friday. Until then it’s another wait and see.